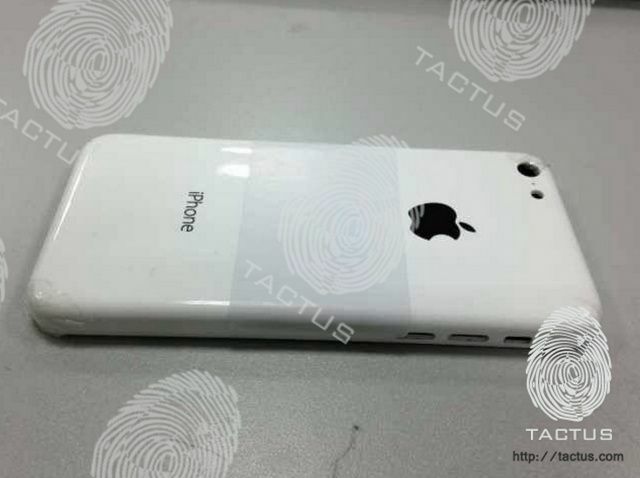 The picture comes from case maker Tactus, which also claims to have some information on the low-cost iPhone’s specifications. The casing is pretty big in comparison with previous iPhones — it’s wider and taller — yet it will supposedly house a 3.5-inch Retina display, not a 4-inch one like the iPhone 5. It’s tapered around the edges, and has cutouts for the volume buttons and mute switch, the rear-facing camera, and an LED flash. According to sources for Tactus, the device will offer an A5 processor with a 32-nanometer manufacturing process like the iPad mini, and a 5-megapixel camera like the iPhone 4. What’s more, Tactus claims that this casing won’t only be available in white, but also black, blue, red, and yellow. “I’m seeing the budget iPhone going on sale October 15th for $300 or £229-£249,” Tactus concludes. It’s hard to confirm that this casing or any of the information that goes with it is genuine, and we probably won’t find out until Apple actually announces the device. There is a chance that it’s a fake component manufactured by a third-party. With that being the case, take this information with a pinch of salt for now. Recent rumors have suggested, however, that the low-cost iPhone will have a plastic form factor and older components to keep its price down.